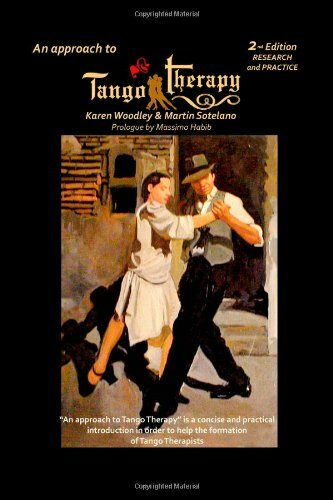 « What can I do to learn Tango Therapy and to become a Tango Therapist? Please let me know if there are some educations/skills or requirements to be Tango Therapist. Tango as a therapy is a new complementary therapy. Officially, no qualification is required but, we work very hard in order to be recognized as a complementary therapy and we are very close to reaching our goal. In the UK, we are looking forward to be recognized by the British Institute of Complementary Therapy and some courses will be accredited by them and by the International Association of Tango Therapy. As a therapist, we work with vulnerable people, it is necessary to understand what this means and what we can do to help them improve and rehabilitate their condition and not to make their situation worse. As a TANGO therapist, we, of course, need to know Tango, but we need to know more than one style of it and we need to understand that we are not going to teach Tango for people who want to go to a Milongas and dance like a master. We use tango as a pathway to reach our goal and our goal is to improve their health and wellbeing. Our experience shows to us that it is easier to become a Tango Therapist for somebody with some health-related background than for Tango Teachers. A Tango Therapist should know, according to the type of problems that they want to help to solve, several subjects like psychotherapy, physiotherapy, movement and dance therapy, and several other subjects, some of them are required by the law in order to work with vulnerable people. Regarding Tango, it is necessary to know different styles because we cannot apply the same tango style in people with Parkinson's disease as well as people with depression.